a special edition of framework dedicated to the life and work of long time supporter, contributor, and friend, joe stevens, who passed away last week after a battle with pancreatic cancer. his influence on this program will not be forgotten. 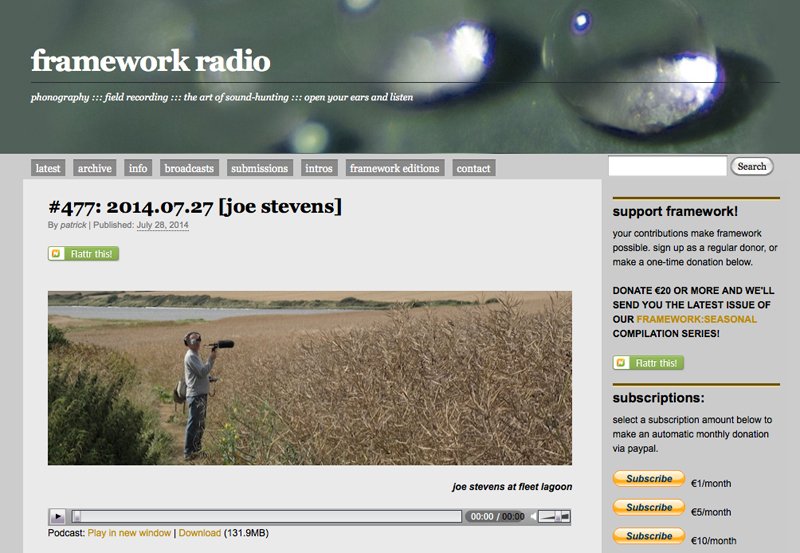 This entry was posted in associate artist, Joe Stevens, radio. Bookmark the permalink.